Yesterday was the second anniversary of the devastating earthquake in Nepal. About 9,000 people died, more than 22,000 were injured, hundreds of thousands of homes collapsed or were severely damaged and thus became uninhabitable. 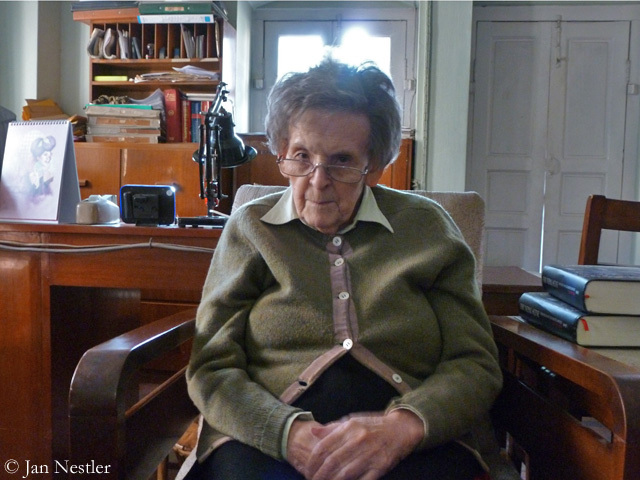 Many people in the most affected mountain regions are still living in shelters. 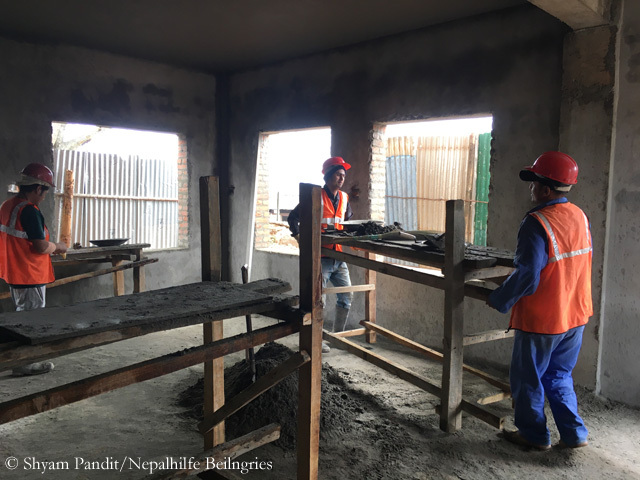 In the village of Thulosirubari in Sindhupalchowk District, about 70 kilometers east of the capital Kathmandu, has been a hive of construction activity over recent months. 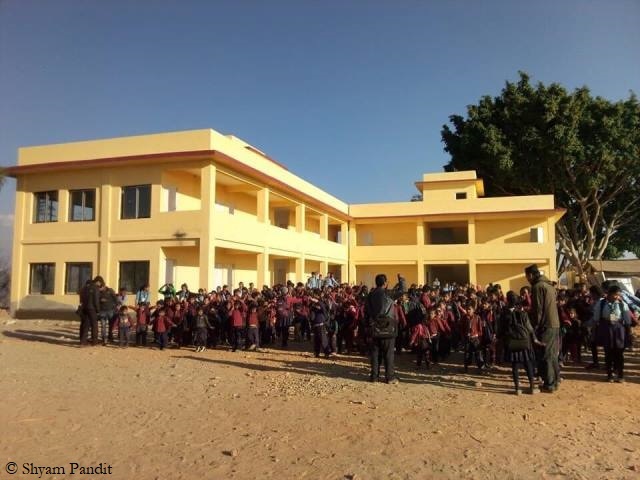 The donations for our aid project “School up!” have made it possible to start building a new school for more than 500 students, the construction is operated by the Nepalhilfe Beilngries. The old school had been so badly damaged by the earthquake that it later had had to be demolished. In recent weeks there have been temporary supply bottlenecks for constructions material, as well as a lack of water to mix concrete. 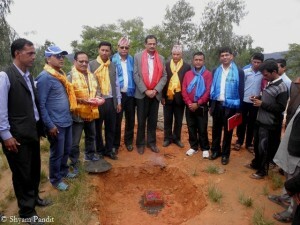 Since the school ground is located on a hill, the water has to be pumped up or – if the pumps fail – even be carried up. Week by week, I get pictures which show that the construction works for the new school in Thulosirubari really proceed. The old school in the small village, 70 kilometers east of the Nepali capital Kathmandu, had been damaged so badly by the earthquake on 25 April 2015 that it had had to be demolished. 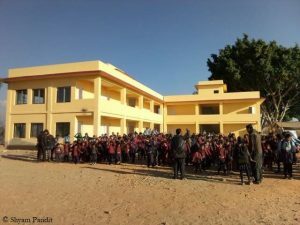 Even if we have not yet reached our target – without your donations for our aid project “School up!” we would not be where we are now. See for yourselves! 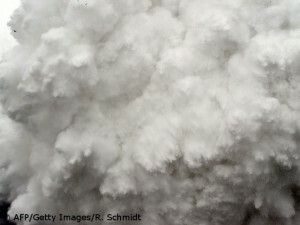 Once again the earth trembled on Monday in the Khumbu region around Mount Everest. The tremors with an intensity of 5.4, with the epicenter 19 kilometers west of Namche Bazaar, normally would not have caused panic, because small to medium scale aftershocks are almost everyday routine in Nepal after the devastating earthquake on 25 April 2015: 475 tremors with an intensity of 4 or more have been registered since then. Major damage was not reported after Monday’s quake. 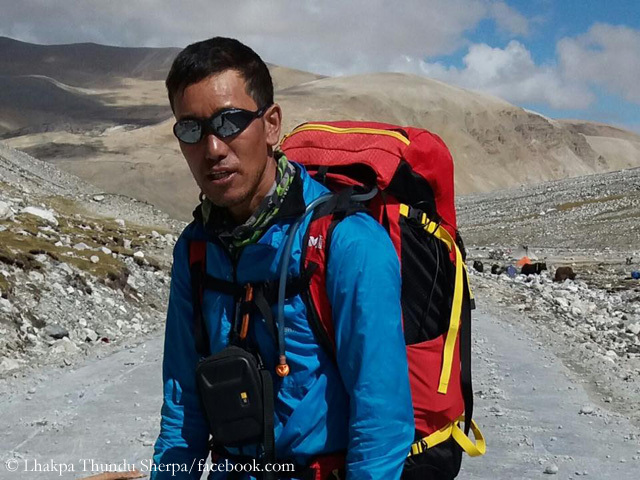 But there was also sad news: Due to the tremors Lhakpa Thundu Sherpa lost his life while climbing the 6814-meter-high Ama Dablam. Yesterday, Sunday, was a very special day for the people of Thulosirubari. One who made a mark for the future, a sign of hope. In the small village in Sindhupalchowk District, about 70 kilometers east of the Nepalese capital Kathmandu, the cornerstone for a new school was set. The old “Gerlinde and Ralf School” of the German aid organization Nepalhilfe Beilngries (NHB) had been so badly damaged by the devastating earthquake on 25 April 2015 that it later had to be demolished. 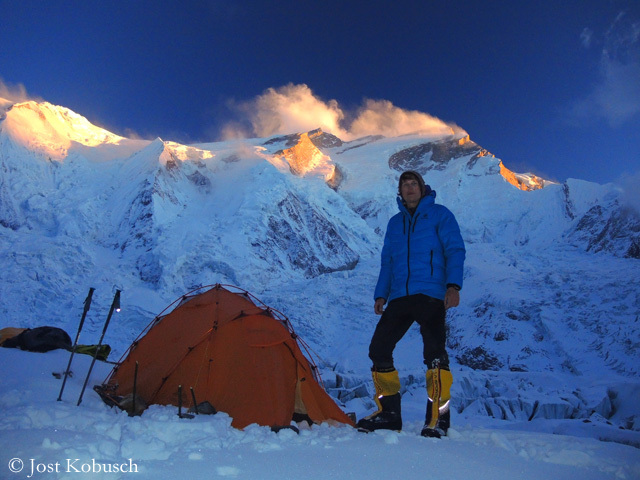 In the summer of 2015, I had initiated, along with the professional climbers Ralf Dujmovits and Gerlinde Kaltenbrunner, the donation campaign “School up!”, with the goal to rebuild the school in Thulosirubari as soon as possible. 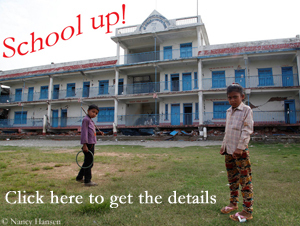 Therefore yesterday was for us three a special day too – and also for all of you who have donated for “School up!”: Without your support, no foundation would have been laid yesterday. At 11:56 a.m. all hell broke loose. Exactly a year ago today, a magnitude 7,8 earthquake struck Nepal. About 9,000 people were killed, 23,000 were injured. However, these were only the victims registered by the government, it was probably more. 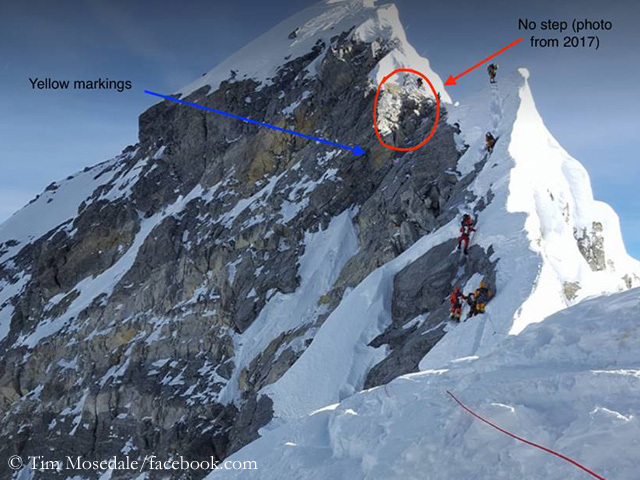 Also on Mount Everest many people died on 25 April 2015. The quake triggered a huge avalanche on the nearby seven-thousander Pumori. 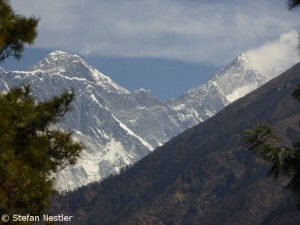 It hit Everest Base Camp, 19 people lost their lives. On this anniversary of the disaster, climbers and the staff of the infirmary “Everest ER” gathered at the foot of the highest mountain on earth for a minute of silence – at 11:56 a.m.
Time does not stand still, even in Khumbu. Two things have changed dramatically in the region around Mount Everest between my first visit in 2002 and my second last March. Firstly, the sanitary facilities – on average – have become much more modern and cleaner than 14 years ago. Secondly, the aircraft noise has increased significantly. 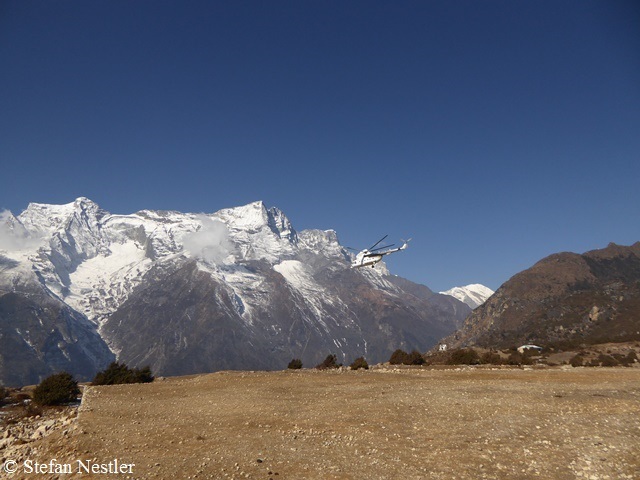 On a clear day, helicopters are flying – as I felt, steadily – through the valley from Lukla to Namche Bazaar and also further up towards Everest Base Camp. He is one of the Sherpas who stay well clear of Mount Everest this year. 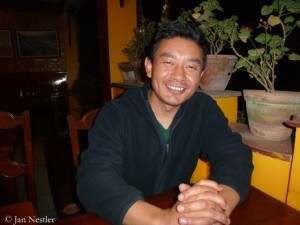 “I simply haven’t got the time,” says Dawa Sherpa Gyaljen, when I meet him in a cafe in Kathmandu during my visit Nepal. 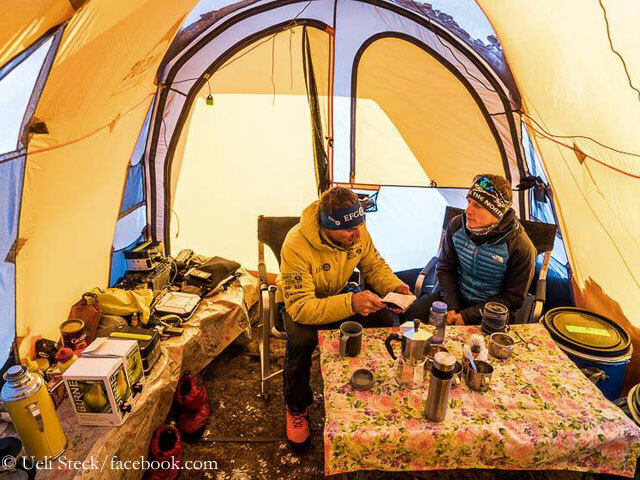 The 29-year-old is working for a trekking operator. “Maybe I’ll get the chance in 2017 again. I have been asked if I would lead an Everest team next year. Let’s see whether I can take as much vacation.” The Sherpa, who was born in the Khumbu region in a small village west of Namche Bazaar, has reached the highest point on earth already four times: in 2005, 2007, 2008 and 2009. The upcoming spring season could set the course for the future, Dawa believes. Safety is primarily a feeling. Often we don’t even realize the lurking objective danger. And if we do, then usually only if we have no other option than facing the danger. 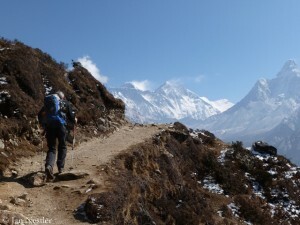 A week ago I have returned from my trekking in Khumbu, the region around Mount Everest. 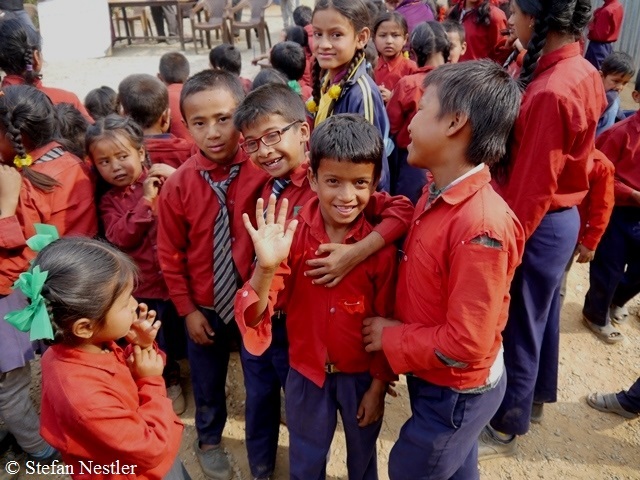 Eleven months have passed since the devastating earthquake in Nepal. I think that my senses were quite sharpened because it was an objective of my journey to inform myself about the consequences of the quake. 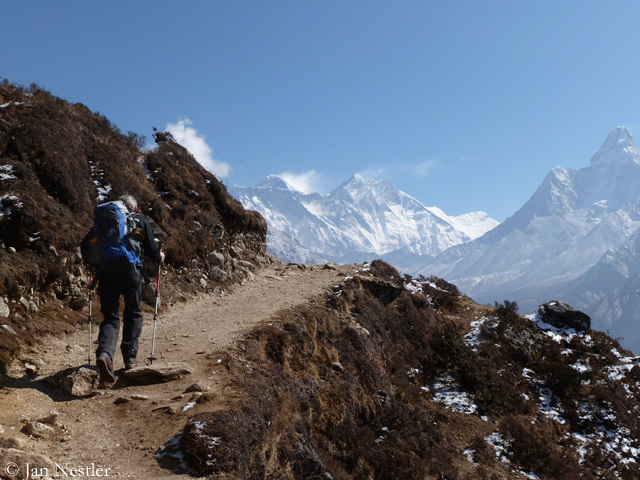 I can send all the people who want to travel to the region for trekking or climbing on their way with my experience: I felt perfectly safe in Khumbu. “I don’t have any ambitions to climb Mount Everest,” says Ang Dorjee Sherpa. “Too dangerous! Finally, I have a wife and three children.” However, the 47-year-old was a member of Everest expeditions twice. At the end of 1991, Ang Dorjee worked as “Mail Man” for a Japanese expedition who wanted to climb the mighty Southwest Face for the first time in winter. 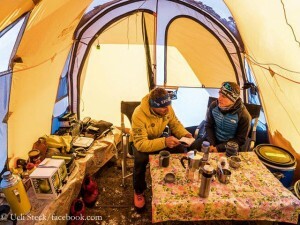 The Sherpa brought the news of the failure at 8,350 meters as “postal runner” into the valley. Two years later the Japanese were back again – and successfully: A total of six climbers reached the summit on a partially new route, the first team on 18 December 1993. The first ascent of the wall in (meteorological, not calendrical) winter was done. That time, Ang Dorjee did not play the postman, but worked as a cook for the Japanese.